Sunglasses are great accessories that have the power of uplifting outfits. However, this can only happen when they’re worn right. 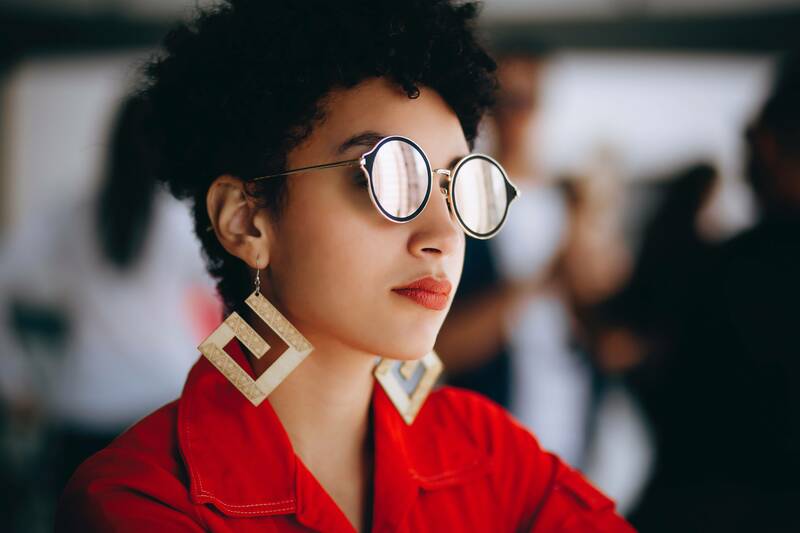 Whether you’re wearing them for style purposes, or with your mind on protecting your eyes, it’s important to choose a pair that compliments your looks. There are many great designs available, but not every pair will look good on you – not an insult, just a reality. This is because we all have different face shapes and what works for one may not work for the other. The perfect pair balances out the face shape, leaving behind an harmonized look that’s not overwhelming. Many people make the mistake of copying celebrities’ looks without realizing that the look will not work for them if their face is structured differently. The secret is to therefore know your own face and which sunglasses work for it before getting a pair. In this article we’ll look at how you can identify your face shape and which sunglasses will go with it. A round face is one whose length and width are almost identical, with a smooth rounded hairline and a small rounded chin. The secret to nailing it with sunglasses is to go for frames that are the opposite shape to what your face is. So, for a round face, go for those with angled frames such as square frames and avoid circle ones. A face with a square shape also has an almost identical length and width, but unlike a round one it’s sharp and angular. The length of the forehead matches that of the jaw and the cheekbones. The chin is also broad and angular. The best sunglasses for this face shape are those with smooth, rounded frames which soften out the sharp angles. The width of the frames should be equal to that of the face. For an oval face, the cheekbones are the widest part. It’s a little longer than its wide, being specifically longer in the lower half. The jaw is a bit rounded, as well. Of all the face shapes, the oval shape is the most harmonious and can therefore pull off most of the sunglasses frames available without unbalancing its structure. With an oval face, it’s important to avoid frames that overwhelm the face. The frames shouldn’t be wider than the face. Soft frames such as aviator, butterfly and cat-eye glasses work well with this face shape. A heart shaped face is one with a wider forehead, while the rest of it narrows towards the chin. The best sunglasses are ones which will balance out the large brow and not overwhelm it. Therefore, they should be small with lightly colored lenses. Rimless frames also help soften out the narrowed lower part of the face. To balance the narrow chin, the sunglasses should have rounded edges. Round frames and cat-eyes will work perfectly, along with aviators. Once you’ve noted the shape of your face, choosing sunglasses that look great on you should be easy. Avoid going for frames just because they look good on someone else and focus on your own facial structure.